Your business may have started at farmers markets, pop-up events, or even with a brick-and-mortar store, but you need an eCommerce website to support and grow it. More than half of shoppers start their buying process with online research, reports eMarketer. If they can’t find your business online, you’re losing sales — Australian retail eCommerce sales are expected to hit $16 billion in 2022. Reach more shoppers by taking an omnichannel retail approach — a cross-channel strategy designed to improve the customer experience. Seventy-five percent of customers say they want a consistent experience wherever they engage with a brand, according to Salesforce. That includes offline transactions, your website, and social media. Give customers what they want by launching an eCommerce website that bridges the gap between all your selling channels. 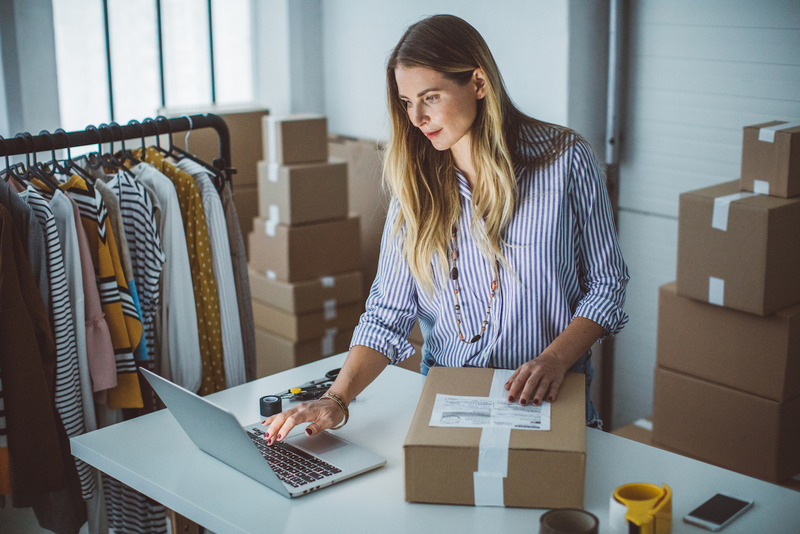 Here are five ways that taking an omnichannel approach with an eCommerce website for your business can help you deliver a better experience for your customers. An eCommerce website can serve as your business hub, even if your brick-and-mortar location is thriving. First things first, you need to get online. The Square Online Store free plan has no monthly fee; you can launch your online shop and start selling products right away — you only pay 2.2% per transaction. Don’t be intimidated by the prospect of building your own website. It’s easy to use the builder to create a beautiful site, even if you don’t know how to code. Your offline and online orders and inventory automatically sync in real time using Square Point of Sale, so you won’t need to worry about overselling or disappointing customers. Adding an eCommerce website to your omnichannel strategy can also increase your sales by reaching customers who start their product research online. All sites include optimised HTML format and mobile-friendly designs to help raise your Google ranking. If marketed correctly, a strategic online presence can drive traffic to your physical location as well as your social media channels and events. Having an eCommerce website also offers an easy way to capture important data you can use to delight customers and drive sales. Collect customer information by asking visitors to sign up for your email marketing list. This allows you to connect with them later, putting your business top of mind for their future purchases. 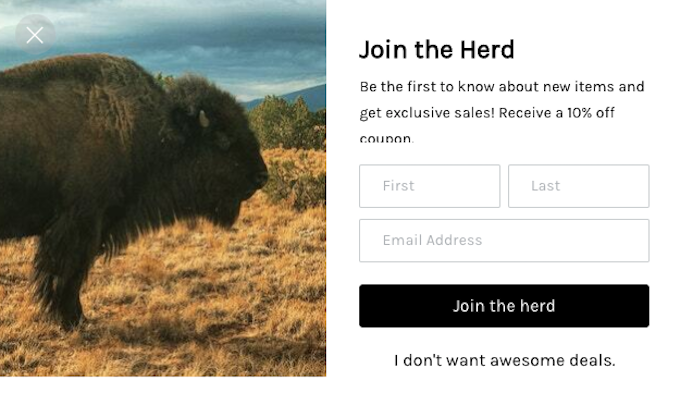 Square Online Store has an integrated email marketing campaign tool that helps you easily send a newsletter, invitation, or product or service announcement, or just a quick update. Having a website also gives you a vehicle for collecting valuable data on product interest, reviews, and searches. Square Online Store analytics provide insight into customer behavior in a way that can’t be gathered from people who walk through your front door. You get reports on visitor, item, category, and sales trends over time. Shoppers want to feel special. Having an eCommerce website allows you to learn what customers like and customise their experience. Nearly 80 percent of customers want retailers to use their purchase history to send personalised offers, according to Salesforce. With an online store, you can enhance customer experiences with custom email. Try collecting customer birthday or purchase history information and use the Square Online Store marketing tools to send out birthday wishes and targeted offers. Our own US study found that customers were more than two times more likely to open and redeem a personalised birthday offer than they were other marketing email. You can also start a loyalty program in store or online that encourages and rewards repeat business. Sixty-two percent of shoppers make store visits or purchases as a direct result of loyalty programs, according to a study by 3Cinteractive. An eCommerce website offers you a chance to promote your business more efficiently by taking advantage of built-in marketing tools such as selling Square Gift Cards, which can be redeemed online and in person. You can also import your Instagram photos so shoppers can securely check out directly from the image on your website — creating a cohesive customer experience across multiple brand touchpoints. Another way to expand your customer reach is by trying integrated Facebook ads. Reengage shoppers by creating targeted Facebook ads showing products they viewed but didn’t buy. Oak & Lace, a women’s clothing store in Columbia, Tennessee, has grown by using its website to also direct customers to its Facebook and Instagram pages. Finally, taking an omnichannel retail approach with an eCommerce website allows you to enhance your products and services by creating more buying opportunities. For example, you can allow customers to purchase a product online or pick it up in the store. This feature is integrated into Square Online Store, and you can even notify customers of their pickup time. This is a great option for restaurants. For retail sellers, you can allow customers to buy online and return in store. This can reduce shipping costs as well as open the door to potentially more sales when the shopper comes in to your physical location. The most important way to serve your customers is to be where they are. Forty-five percent of Australians make a purchase online every month. Satisfy everyone’s preference by adopting an omnichannel business approach with your eCommerce website. Square Online Store makes it easy, and with the free plan, there’s no risk. You’ll not only offer the best customer experience but also make your store more successful by leveraging the insights you gain.